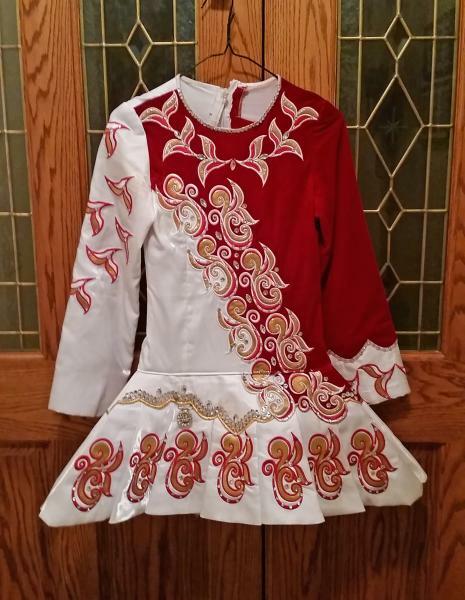 dance.net - Red Velvet, White Satin and Gold Solo Dress for Sale (10242400) - Read article: Ballet, Jazz, Modern, Hip Hop, Tap, Irish, Disco, Twirling, Cheer: Photos, Chat, Games, Jobs, Events! 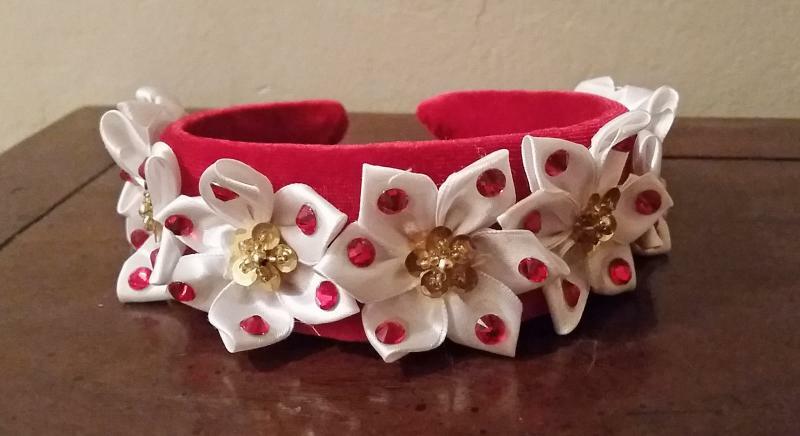 Includes number card holder, gold sash and headband. 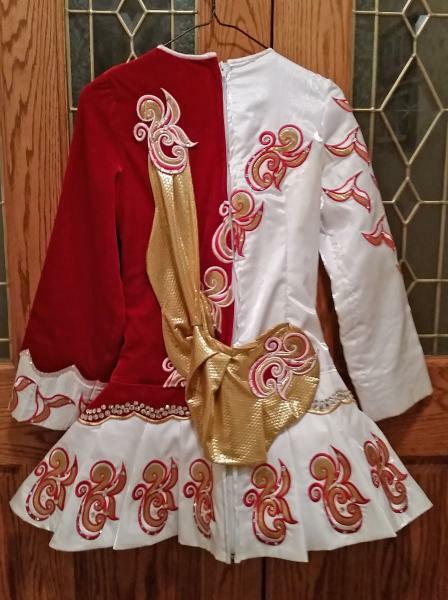 Back zipper is not even, but not noticeable on stage. Gold sash attaches with safety pin, but easy to add a snap.